further two Kilowatts of halogen lighting illuminates the inside of the wheel. steam. Fortunately the structure was so well built it held up. 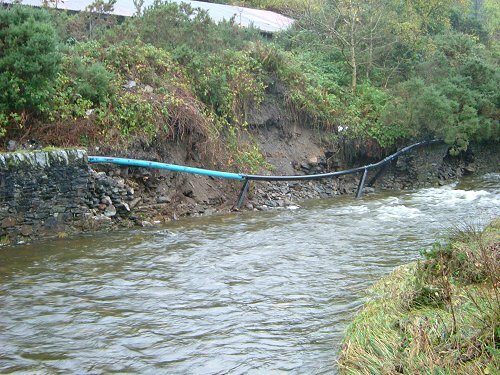 Above: The same flood removed thirty six feet of river wall leaving the supply pipe hanging. The wall will be repaired in the new year. 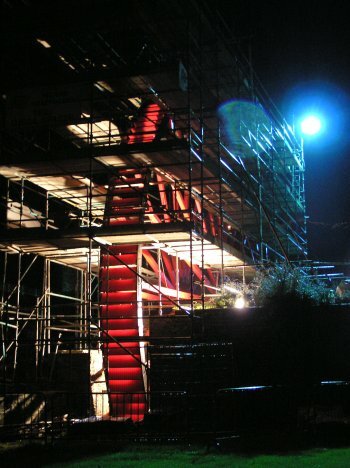 Above: The scaffold was very quickly rebuilt above river level by SGB Island Scaffolding.